Hardware-based encryption: Keep personal files and confidential data restricted from hackers and thieves with AES 256-bit encryption that meets all industry standards, including Microsoft® eDrive, IEEE1667, and TCG Opal 2.0. Integrated Power Loss Immunity: Avoid unintended data loss when the power unexpectedly goes out. This built-in feature of our new NAND protects your data swiftly and efficiently, so if your system suddenly shuts down, you keep all your saved work. 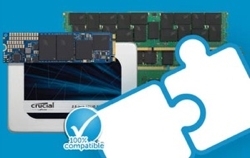 Redundant Array of Independent NAND: Protect your data at the component level with an SSD that automatically provides parity protection for your data. This high-end feature works similarly to how RAID is used with multiple hard drives and maintains the integrity of your data, especially for intense users. 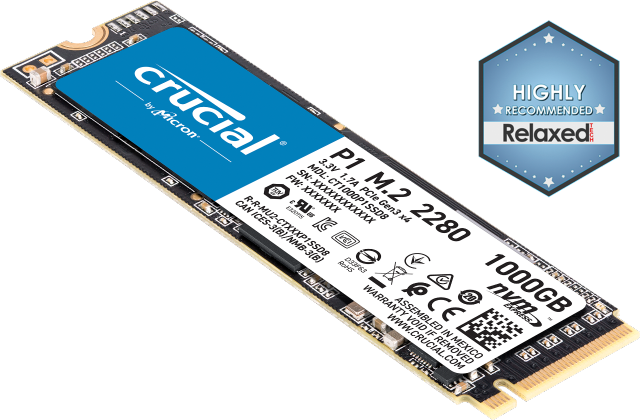 Built-in durability: Because SSDs don’t use moving parts that wear out over time (unlike hard drives), your files are less susceptible to a crash. SSDs are better equipped to survive physical trauma, like getting dropped, because they don’t rely on mechanical parts. Note: 1GB = 1 billion bytes. Actual useable capacity may vary. Not all capacities and form factors may be available at product launch. 1. Based on the published specs of the 1TB model. Speeds based on internal testing. Actual performance may vary.